Cementing its status as ‘Asia’s Leading Travel Trade Show’, ITB Asia 2017 will celebrate its 10th anniversary with an exciting view to the future of travel and tourism. Under the conference theme “The Future of Travel”, ITB Asia 2017 will showcase an extensive programme of key presentations and discussions by industry heavyweights from the travel and tourism sector. This includes global brand names as well as promising travel startups. “We are proud to have put together such a rich and diverse conference programme, which is only possible with the continued support from the global travel industry. This is testament to the show’s expanding role as an important platform to bring all the different stakeholders in the travel and tourism sector together. 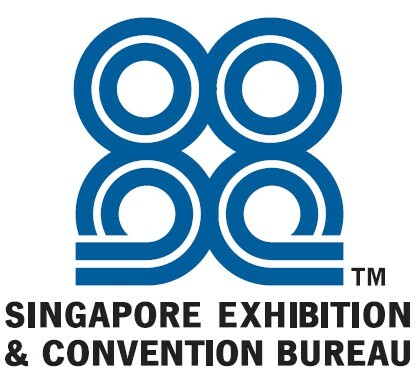 We believe everyone attending this year’s show will enjoy and benefit from engaging with the influential and exciting speakers on the most current and pressing topics in the industry”, said Katrina Leung, Executive Director of Messe Berlin (Singapore), the organiser of ITB Asia. 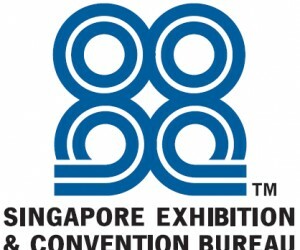 Artificial Intelligence and OTAs to be focus of ITB Asia 2017 keynotes To kick off the show, headlining keynote speakers on Day 1 include Tony Menezes, Vice President of Industrial and Distribution Sectors at IBM Asia Pacific, Rob Torres, Managing Director of Advertising and Marketing at Google, and Jane Sun, CEO of Ctrip. Both speakers from IBM and Google will focus on Artificial Intelligence while Ms Sun from Ctrip will speak on its global strategy. On Day 2, the highlight of the keynote panel will focus on the trends and market conditions of the travel trade market and how Online Travel Agents (OTAs) are transforming travel through technology, particularly in Korea, Japan and India. Moderated by Nick Vivion, Editorial Director of Tnooz, the panel will include Ike Anand, Vice President at Expedia, Min Yoon, CEO of Tidesquare, Amit Taneja, Chief Revenue Officer of Cleartrip, Ken Mishima, VP of eCommerce Strategy at iJTB, and Jose Murta, Global Head of Hospitality at trivago. While VR has mainly been used in promotional and marketing materials, hotel and accommodation visualization and training, disruptive startups Hiverlab and Zebra Design will share their experiences on the exciting realities and opportunities for augmented reality and virtual reality in hospitality and tourism. Savioke, a Silicon Valley startup that makes autonomous indoor delivery robots, will also present key takeaways from its pilot project at M Social, Asia’s first deployment of front-of-house service robots. With younger generations, including the millennials and Generation X, forecast to embrace cruise travel more than ever before. ITB Asia will also for the first time, launch an innovation travel tech track hosted by Israeli startup InnoVel that will connect travel companies with cutting-edge startups. The crosssharing is designed to address concrete pains in areas such as revenue management, customer engagement, online marketing and more. ITB Asia 2017 is expected to top the success of ITB Asia in 2016, where almost 900 buyers attended the show, leading to a 1:1 ratio between exhibitors and buyers whilstover 50% of buyers signed deals with exhibitors after the event. 43% of attending buyers had purchasing power of USD 500K – USD 1m and 85.7% of attending buyers were direct decision makers.